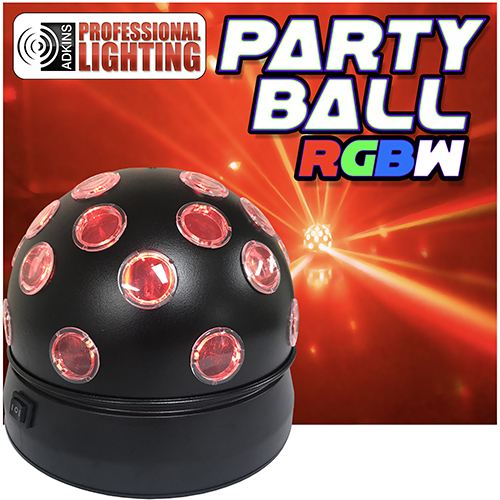 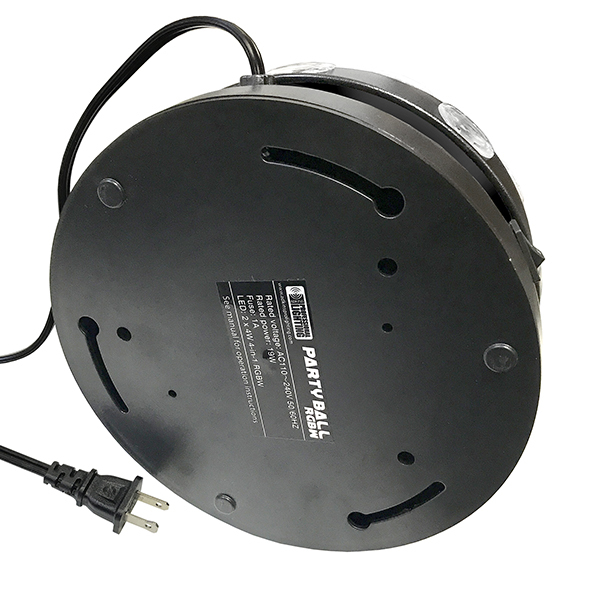 The Party Ball RGBW from Adkins Professional Lighting is a three function Quad LED disco ball lighting effect. 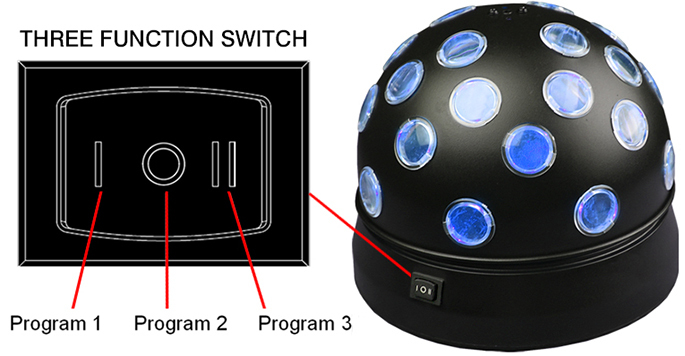 The three function switch makes the Party Ball easy to operate with combinations of spinning, strobe and sound active modes. 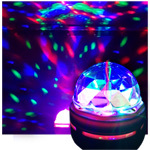 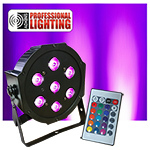 The 2X4 watt 4-in-1 RGBW LED lights display a bright beam disco ball effect.